Recently I had “Warren” leave a comment regarding the West Virginia water contamination situation. Realizing that he was smack dab in the middle of the event I reached out to him with some questions and a request to share his experience with ModernSurvivalOnline.com readers. How did you handle washing clothes? We were lucky to know of a laundry mat just outside the impacted area. It is near a farm we own. The farm is our retreat if you will so we immediately set plans related to that location into motion. Many people are sort of stuck though as the very close-by areas that were not affected quickly got swamped. At home we have a HE washer but had stored some non-HE laundry soap for just this sort of situation. We had quarters on-hand also. Those two things were nice because we could avoid additional lines of people hunting for those things. We wanted to avoid people as best we could. We set out large coolers to catch rain water (the rain was perfectly timed) to grab water for additional clothes washing if this event were to last longer. How did your preps help? For a few years now, we have kept water stored at the house and at our farm. We have plastic juice bottles that we labeled January and July so we know when to rotate and refresh the stored water. Our supply wasn’t enough for full-on showers but we didn’t hesitate to use it to stay clean. Drinking water was fine to with the bottled water we had on hand. Most people apparently had very limited water on-hand as evidenced by the runs in stores. Since we had water, I did not add to the chaos at the stores but folks I work with were in the thick of it and reported fist fights, slamming into each other with carts, etc. Some folks resorted to grabbing cases of water in the chaos and just running out of the doors. Police were quickly called in to manage the situation at all the big stores. The news reported that the local Sam’s Club sold out of 4200 cases of water in 1.5 hours. That’s insane! Anyhow, we also keep baby wipes, and hand sanitizer on hand which helped too. The one large thing that was not critical I guess but that we will keep on hand in case this happens again is paper plates, flatware, etc. Since we couldn’t wash dishes, eating got to be a problem. Frozen food became a premium item as people couldn’t eat out (all the restaurants had to close). 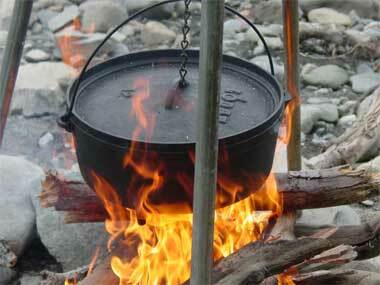 People who hadn’t stored water couldn’t cook food from scratch even if they had food on hand. What had you wished you had done prior to make it easier? I wish I had a lot more separation of “stuff” between my house and my retreat. That will be remedied for sure. We will likely add more water to both locations as well. I bought an additional emergency alert radio. We will get paper plates, etc as soon as they come back in stock. After the fact, I added additional contacts to my social media groups…the water company, the news stations, the national guard, the governor. I’ll determine later what of those will remain useful but they sent out a lot of info via social media and I had to take time to find them on the fly. Some will likely remain useful while others will no doubt become junk. Charleston has a long history of chemical manufacturing and much of that remains today so I will probably add info on chemicals that are made here as well. We have had a few incidents with chem leaks, accidents, etc but mostly those are in the air so pass fairly quickly. The water is an entirely different deal and this chemical was not well documented (unlike the stuff manufactured here). Although this problem would not have been helped by water filters (apparently it passes through the just fine), I may add more options in that regard. We have monolithic dome filters but I guess I would have just ruined them had I tried. I have rain barrels but I haven’t managed them well so we may do something different there too. What kind of stories did you hear regarding other people? Lots of people went into panic mode very quickly. People jumped at getting water and any drinkable liquid. Folks bought up ice quickly as well. I think people got pretty clever pretty quickly. One of my buddies heard the alert on the way home and got off the interstate right away and bought 50 1-gallon bottles. He knew he wasn’t affected but jumped into action for our group of friends who he knew were affected. He beat the rush as he was outside of town when the news hit. Quick thinking helped our community of friends immensely. Quick thinking and community are super important and I see that even more clearly now! Lots of folks got sick as soon as they heard there was a smell in the air…not really sick, but many convinced themselves they were nauseous from it. Well, who am I to say? Maybe they did get sick. The smell was definitely in the air and in the water (actually, it still is) Anyhow, most people panicked for a short bit but then settled down. I am really pretty proud of how the majority of people reacted. Some little “suburb-towns” around had independent water supplies so many people in those spots put out the word on social media that friends were welcome to come and get water/shower/etc . People who didn’t have social media or who were very reclusive (and also shut-ins, etc) probably suffered a lot more than people who had community. Lots of other people checked on neighbors…I heard this all over…and made sure they had supplies. Our neighborhood communicated around pretty quickly and made sure we were ok. I was super proud of so many folks for that. The chemical company who had this leak created a PR nightmare for themselves with their response but the water company did a great job of providing info and updates. They are giving everyone credits of 1000 gallons on our water bills too so we can flush out systems for free. That was all a surprise to me. And probably the biggest surprise was how fast state and local (and maybe fed?) government responded and how well. They very quickly got water trucked in both as bottles of water and in large water tanks. Vol fire depts in surrounding communities also steppe dup quickly. All-in-all, the large scale response was pretty impressive. Do you have any fear that residual chemicals showing up after the situation is “fixed” could cause issues? I absolutely am concerned about residual chemicals. Apparently the determination regarding a “safe level” of the chemical is based on a 20+ year old non-peer reviewed study dealing with lethality in rats. There is apparently little known about this chemical especially in the water supply. All that being said, we are warned that the licorice smell (and thus the chemical itself) will remain in our water for an unknown time. The authorities are opening water usage in zones so people can flush their water systems but caution us that the smell will remain. It will apparently be a “safe level”, but that brings me little comfort. Long term exposure effects have not been studied at all apparently. Someone likened it to smoking a cigarette today and saying, “see, no harm”. Long term is what concerns me more. We ran out and got a new water filter for our water system before everyone else runs out as it was recommended that filters be replaced after we flush our systems. Still, I am concerned that trace chemicals will stay in my new filter even after the flush…the chemical will still be there after all. Our intention is to shower once our ban is lifted (because that is hard to manage with alternate sources) but we will not be drinking or brushing teeth with tap water for quite awhile. What about people with wells? Are they OK? Well water is not affected by this. The spill site was in an industrial zone just outside city limits. The real problem is that the 35000 or so gallon tank (one of a dozen or so) was a stone’s throw from the river that is the source for the large water system. Of course, the leak site was upstream from the water inlets. So well sites are not impacted by this issue. They are starting to lift the bans in zones, starting with the hospital zones. I figure we will be ok’d in the next few days so thankfully the end appears to be near for the city. Outlying areas may have awhile longer to wait unfortunately. We will be cautious as I am not sure that this is truly safe or over but hopefully we are on the right path! I had several 7 gallon tanks which are large enough to be worthwhile but not so large that they can’t be carried. I also have several 55 poly drums but standing in line with those would have been bad because of weight of course, but making people wait while I filled a large tank? Not a good idea. 7 gallon tanks are just about right and can be found for $15 or so at the big box stores (but not in the middle of a water emergency!). Warren maintains his own blog – it can be seen HERE. Great article. It is good to hear first hand accounts of how things went. I hope others in the area will write in as well and talk about how they coped with the situation. Has anyone given any consideration to how much of this chemical may still be in the ground around the tank and what will happen the next time it rains. I hope the water company will keep monitoring the river, especially after any rain storms. This incident really scares me. I thought I was pretty well set for most things, but looking around our area in Florida there are chemical storage tanks everywhere. I am going to have to make more arrangements to collect and store rain water in the near future. By the way, your site has really slowed down drastically in the last week. I started noticing a few days ago that it takes forever to load. On the news lat night, they showed the chem company excavating around the tank to remove the contaminated dirt. There is a lot of attention on it right now so I suspect it will get cleaned up properly. I think I heard that they were drilling monitoring wells nearby too so they can detect leaching chemicals. The water company apparently plans to monitor for quite some time as well so hopefully we will know if the levels rise again. Of course, the smell is easy to detect too so we will know if a large amount gets into the system. They emptied the tank immediately so that’s a help too. Rourke and Warren-THANKS. I appreciate hearing from people who are in the crises-whatever it is and the coping and prepping that helped-teaches us all something. I haven’t been able to sign the likes either lately. PS Its also heartwarming to hear of the vineyard and others helping one another. That chemical company should be shut down permamently. We do not need such toxic chemicals at all !! Hey Bill – as I understand it, activated charcoal would have worked but it got saturated fast and became ineffective pretty quickly. Other filters were not terribly effective apparently. They warned us not to boil it and that brita filters wouldn’t work. Higher end filters they didn’t mention but I’d say it would be iffy? Who knows. If it came down to it in a longer term scenario, I would have tried to filter and then use the sniff test. That would have worked here I guess as the chem had a strong smell but with an odorless chem, it wouldn’t have worked. Question. Will any of the Highly Recommended personal water filters work in this kind of situation. I’m even concerned if they will work getting safe water out of rivers and creeks in urban areas because of gas and oil run-off from streets. Just went to Costco and purchased another Shelf Reliance 55 gal water barrel and pump. I will probably pick up another when funds allow. Again, thanks Warren for the “in the thick of it” news. great article!! good to hear and learn from first-hand experiences-no like button for me either. . . .
Bill, This is my major concern as well. I had always planned on getting water from the many bodies of water around me and filtering it, but after this disaster I am revising my plans. There are no known filters to remove this chemical and probably a lot more as well. I have both Sawyer and Katadyn water filter systems, but have revised my plans to store more water and collect a lot more rain water. Where I live there are storage tanks for fuels and chemicals everywhere and I would be very leary of any bodies of water post SHTF. I’m glad to hear things are getting better and so many people came together to help. Warren, I think you are right in waiting and monitoring the situation since so little is known about this chemical. I think I will have to re- evaluate my water needs. It was really cool to read this from someone who was/is actually there! It would be awesome Rourke if we could get more first hand accounts from these types of situations when they occur. I will see of I can work on that Jennifer. Warren, glad to hear you are ok. It sounds like you have your situation under control, but I would air on the side of caution when dealing with this. You might even want to go as far as utilizing water from your storage even if the OK is given on the water system, at least for a time. We were “cleared” to begin flushing our water system tonight and we did so but the strong licorice smell remains. The authorities say that is to be expected but I am not comfortable with it yet especially since the water at my office does not have the smell. So, my whole family is now at my office getting showers where the concentration is apparently lower. I expect the water here still has the chem but it is lower concentration and since I have the alternative, why not? My office is closer to the treatment facility whereas my home is serviced by a large storage tank. I figured the flush moved the contaminated water from the tank into my home which is a step I guess, but not the end result I had hoped for. We will flush a few more times (though “they” say we shouldn’t) in the hopes that we (all the people serviced by the tank…thousands I expect) can empty the large storage tank through flushing and regular use and move the cleaner water from the tank into my house. I don’t know…this isn’t over yet but I guess we are making progress. I don’t understand why we are not hearing more of the contaminated water burning when lit with a lighter. I am from WVa and I still have many friends and relatives there. When I go to Face Book, all I see and hear is of people burning there water. 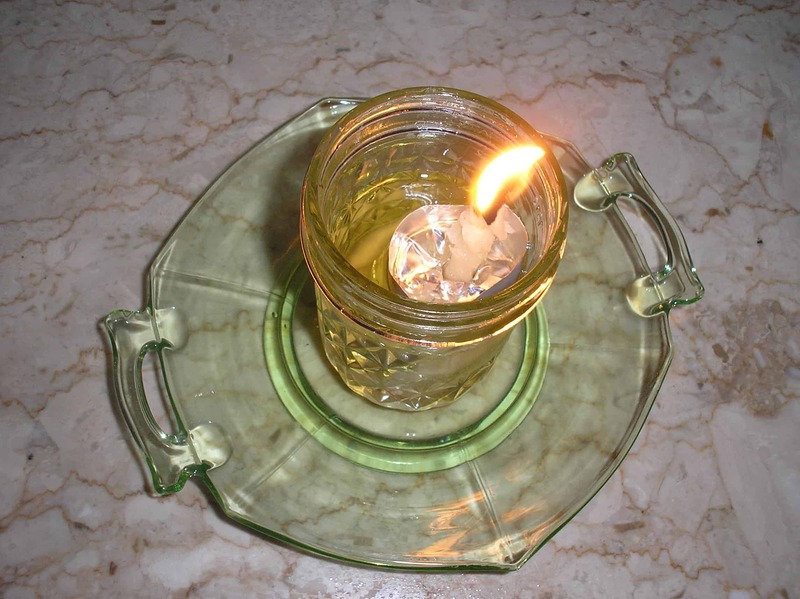 The story goes that they will know their water is safe to drink when it quits burning. Does anyone think that their water is OK to drink if they still smell the licorice? One more thing to ponder. If you had a 5 gallon bucket with this chemical in it. You pour it out and then wash the bucket. Would you use it to drink out of again. If you would the EPA would fine you. If you gave it to someone else to use, you may go to jail. It is illegal. You cant reuse a container that has had a chemical with an EPA registration number on it. I guess it is OK if it would cost zillions of dollars to replace the old rusty water lines buried all over the effected area.. These incidents are why I have 2,000 forks, spoons, and paper plates. I have 700 gallons of water in drums; when one is emptied, it becomes my water catcher which goes in a Berkey for filtering. Thanks for this update which will get people to realize their priorities in preparing for a disaster. My husband and I have over 21 sets of underwear (LOL) and packages not even opened(prepper)–so laundry will be my LAST worry if water is unavailable. I live a few counties away from the affected area in WV. Please let me relate the following. During the Derecho in Jul, 2012 the power was out for nearly two weeks. Phone service lasted about 48 hours until the batteries at Frontier Communication’s location were exhausted. Cell phone service is difficult here due to the quiet NRAO zone mandate. As we produce our own power via solar, batteries and back up 12v generators for them, we were not impacted by the loss of electricity. Battery operated portable shortwave/am/fm/weather radios gave us information and a small battery operated scanner kept us alerted to local enforcement/ham activities. Our water storage is two 300 gal. holding tanks fed into living quarters with a Sureflo 12v demand pump. They are filled by transporting water either from town or pumped from a creek nearby into the tanks. For this we use a Mitsubishi gas powered clear water pump that uses less than a pint each fill. Rainwater is also collected and pumped into them. Fortunately there are a few springs that we can access if necessary as well. We filter our water drinking with two Big Berkeys. Cooking is propane as well as hot water but these are small units that would be used in travel trailers, the water heater is only 6 gal but plenty for dishes and a quick shower. Dual portable 30lb propane tanks last about six weeks. Additional propane bottles are kept in reserve as well as treated gasoline for the water pump. Soon after the Derecho took out the power there were waiting lines of cars, I counted over twenty at one time, trying to get to the two springs which are near the roadway. All water was sold out at the stores even if they were open. The three convenience stores in this area could not pump gas or diesel. People were waiting in line at the springs to wash their hair and dishes and there were many who bathed in the creeks and river. My neighbor and I went to the springs at 3 am when no one was there for some drinking water bottle fill ups for those in need. Refrigeration began failing fairly shortly and much food was lost and dumped into our local dumpsters. This brought bears and other animals, seagulls were noticed this far inland. In closing I would suggest the following to any preppers reading this. Store as much water as you can in advance of need. A few bottles or cases is not enough. Start thinking in terms of hundreds of gallons. Store food but only what you normally eat. If necessary change your eating habits to accommodate this aspect. Rice and beans are excellent choices as they store well. Use a pressure cooker as it saves fuel. Condiments and canned foods are a real plus. Spams, canned chicken or beef, soy sauce, pepper, salt, spices you use, etc. Pastas also have a long shelf life if kept dry and sauce jars or cans as well. Dried vegetables that can be rehydrated, leeks, broccoli, dried onions, etc. Remember to store what you normally use. Don’t forget coffee or teas. Green coffee beans store almost indefinitely in the open air and learning to roast them is quite a simple matter requiring no special equipment other that a frying pan. Don’t forget the small radio batteries and led headlamps that run for 30 hours on an AA cell as they are extremely handy at night. At ground zero here. We flushed our lines a couple days ago and are very near the water plant. We still have the smell in the water and a metalic taste to the water. I showered in it this morning for the first time and still this evening I can smell it to a degree on me. I certainly don’t think the water is nearly as safe as they are saying it is yet. Salmon, sardines, canned tuna, chicken, turkey, ham, canned 1 lb. hams, chicken dumplings, beef stew, beanie weenies, Vienna sausages. I even pickled hot dogs. Canned beef-a-roni and those types. Can be eaten out of the can, not cooked. JayJay, I don’t know if you are from WVa or not but those vittles sound like you are. Vienna sausages and beef-a-roni. I grew up on these. For eating out of a can, where is your Lucks pinto beans and fried apples? Things are apparently getting better as most of the zones have been cleared but many people can still smell the chem in the water and many more are going to the hospitals with issues of varying sorts. Our water has been cleared and we flushed the system but the licorice smell is still very strong. I am def not drinking it and hate to even be around it. The CDC just released an advisement that pregnant women should def not drink the water. That makes me wonder if 1 year old should drink it…or maybe 2 year olds? What about 85 year olds? It is ridiculous and makes me furious that we are somewhat of an experiment. I still don’t blame anyone but the chem company that caused this…I mean, there is no science on this chem so it has to be an experiment. I just wish it wasn’t so. I really want to just go back to the time when I only had to worry about Fukishima radiation spreading across the planet, GMOs, economic mess…you know, the usual happy stuff. I mentioned in another comments that I think there is a lot more to what is going on then the MSM is letting on. It may be months or years before that water is safe. Easy for us not in the area to say “I wouldn’t drink or use that water” because we don’t have to deal with that situation. Keep us updated please and take care! We were at the Outpatient clinic today at CAMC Memorial and talking to people there they have seen a big spike since the all clears with people coming in with rashes and all kinds of things that are related to the chemical in the water. Cross Lanes area got the all clear and started flushing only to have a water main break and now have no water and will be under a boil water once the do get it back on. Not sure how much of Cross Lanes is affected. Thanks for the info. I think this situation is MUCH bigger than the media is making it out and the effects are going to last for years. Terrible situaiton to have to deal with. What a great learning lesson again! I just talked to an old school friend back up north(Chicago) that had no clue to this. I value this and will double my water storage this week. I have a good deal stored and will double it. I found 55 gal. drums for $20.00 each. What a heart breacker for those affected! I wish all would wake up and see the light. Didn’t they say this chemical is being found near Cincinnati also? Tim, it is def headed downstream. The real solution to this in Charleston was to let it dilute. Stuff that wasn’t in the water system was still in the Elk river which dumps into the Kanawha which ends up in the Ohio eventually. I think it is very diluted by the time it gets there but without a doubt, the chem is still in the water. Even that in the water system is being flushed through our homes and businesses into the sewage treatment plant. They process whatever they can regarding this chem (maybe all, maybe none? No idea) and then it ends up in the Kanawha river. Certainly the hydrant flushing goes into the river too so everyone down stream will find some amount of this chem until it reacts into some other form or dilutes to a point where it isn’t measurable. They had advanced warning though so they apparently filled their reserves and closed their inlets for some period of time while the major plume passed. I suppose if it is in Cincinnati, it will be in my area of Ky shortly. We get our county water from the Ohio. It just keeps getting deeper and deeper. I am up to my chin now. A warning on water test companies. I recently received a card that was formatted to look like an official City/State request to test my water (well, I have no city water). I looked at it twice and sent it in. I was called to set up an appointment. At this time I asked if it would be a comprehensive test as I have had a real Mickey Mouse (pool test) before. They said yes. Appointment day arrived and so did the guy in an expensive car wearing a (State name) water analysis shirt. He took a cursory look at my well head and then we went inside to my kitchen were he appeared to run another pool test all the while giving me a spiel how they can fix all of my problems. For $6000. I asked for his card, three times, while he pressed his sales pitch. I finally got his card and him out of my house. I rather briskly informed him then that he had fraudulently gained entry to my house and that I would talk to the State and BBB and the Internet. I got rid of him, never received any test results, and called the company. They listened to what I had to say said “please hold” and disconnected me. I’m sure the areas now effected are going to be prime targets for these sharks. Watch your six and check them out. Regards, D.
Yeah loading those tanks there was a really stupid move. I’m still smelling it too at home. The company filed for Chapter 11 this afternoon. Warren, I appreciate your response. I pray everything gets better sooner than later. Cant believe how stupid they were to use water from anywhere near the contaminated area. Looks like the chemical plant responsible is filing bankruptcy too, cowards trying to avoid lawsuits maybe?. This should be a lesson to all of us, be prepared because disasters like this give no warning.